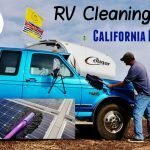 Next to a water leak a rodent infestation can be one of the most damaging and unpleasant things that can happen to our beloved RV. They can get into the innards of our rigs leaving behind a mess as they chew and relieve themselves all over the place. Even worse they may chew on electrical wires causing a hard to repair failure. Sometimes a whole wall may have to be removed to perform the necessary repairs. I myself have been very lucky and have only had a couple mice evade our home on wheels. Each time at the frantic urging of my wife it was my job to expel the invader. I found the good old tried and true wire snap trap with peanut butter did the trick quickly. 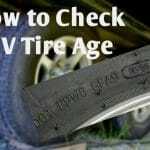 Since then I’ve paid attention to how others have handled mice problems in the RV noting their solutions. It seems there is no magical bullet for all mice. Some things work for one person but not for another. 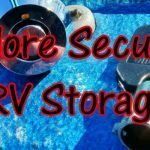 But to help RVers facing a mouse problem I’ve decided to put out this list of tips and tricks. Hopefully, they will be of help when battling the furry little home wreckers. 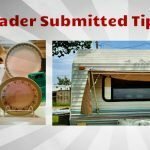 Note: Many of these tips were found this Love Your RV Forum forum thread. Thanks to those folks for their advice. The first thing to do is stop the little buggers from coming in to have a look around. Our RVs have many access points for something as small as a mouse. If they can get their head through an opening the rest of the body can follow. For a small mouse, this may only be the size of a dime. Spray Foam – Expanding foam in a can is a great way to fill in cracks and tiny holes since it can be easily removed if need be. Pay special attention to the underside of the rig, inside the storage compartments and around plumbing feed through holes. Steel Wool – For more aggressive mice that may like to chew their way through foam try adding in some steel wool to the mix. Chewing on the sharp steel fibers should deter them. Xcluder – Commercial grade stainless steel non-rusting mesh used by professionals to block openings. Screens – Use fine mesh screens on any larger openings like vents, access ports, and piping. 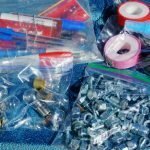 Power Cord Hole – If your rig uses a feed through for the power cord some call a “Mouse Hole” consider doing what I did and install a fixed receptacle instead. One less pest access hole to worry about. 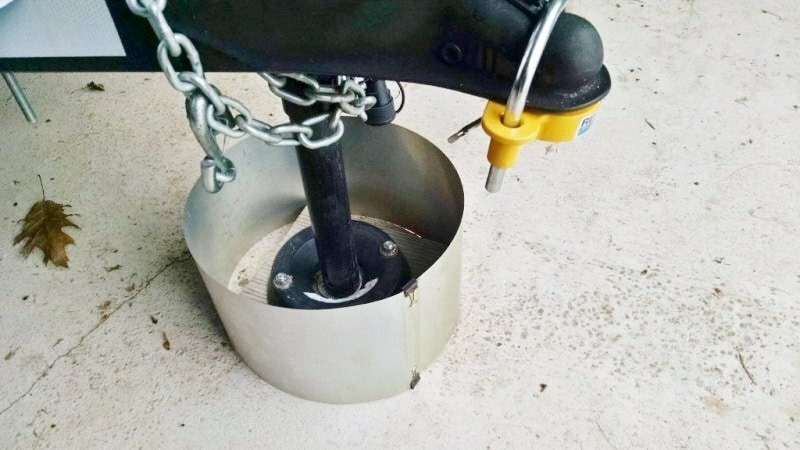 Metal Rings – Fashion metal rigs out of sheet metal and place on the ground around tires and jacks. Make them tall enough so mice can’t get over usually around 8 inches will do the trick. Remove any food – Probably goes without saying but don’t leave any sort of food where a mouse could access it. One time I invited a mouse into our fifth wheel when I used the basement storage area for a bag of potatoes. Seal Pet Food – Due to space constraints sometimes pet food needs to be stored in an outside compartment. Make sure to use a plastic sealed container. Remove weird things they may eat – It’s not just food to be concerned about either. Mice will eat the strangest things to survive. I once had a mouse living in the front storage bay of the trailer because I was storing a fire log there made of recycled coffee grounds. Judging by the amount gnawed off the log he loved it! Remove all paper products, clothing, and towels, etc. – When mice move in they will want to build a nest to start making more mice. 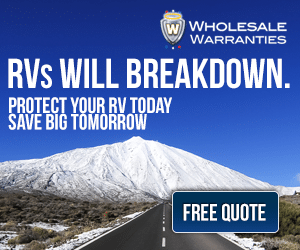 Make sure there aren’t materials left in the RV to help them out with this. Add night time lighting – When I first started camping in the desert I noticed in some locations folks would leave their vehicle hoods up. How strange I thought. Turns out that nocturnal rodents don’t like light and it kept the desert pack rats from nesting in the engine area and chewing on the electrical wires. 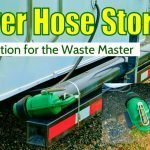 Many of the extended-stay RVers had rope lights laid out under the rig for just this reason. 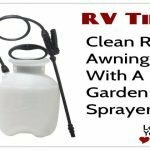 I’ve had several RVing friends recommend these products to me as effective deterrents. Fresh Cab – Little pouches of botanical material that mice hate. You place a few around the RV and the mice stay away. They need to be renewed once in a while as the scent diminishes. 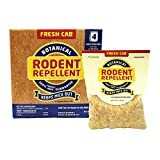 Mouse Free – This stuff gets sprayed on the undercarriage of the trailer or motorhome keeping the mice from entering. 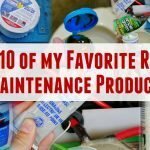 If you find the commercial mouse deterrents a little on the pricey side here are a few common household products people have had success with. 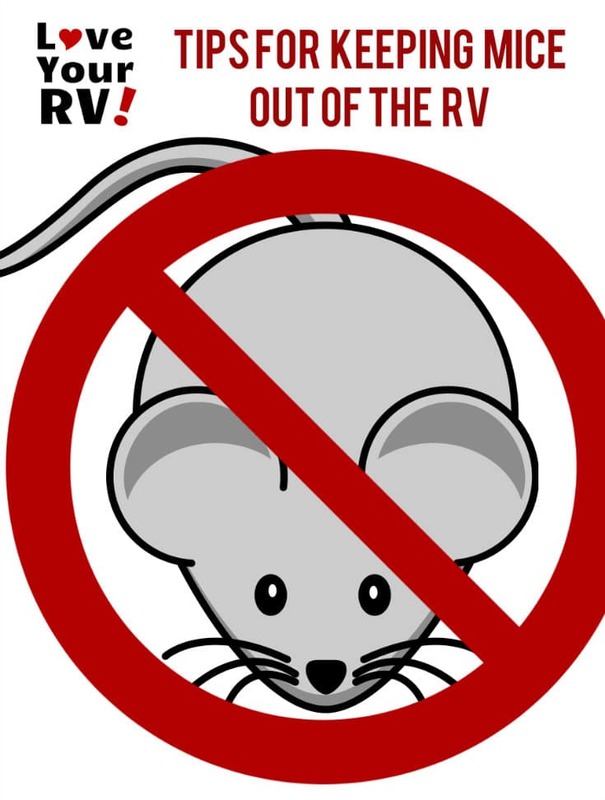 Fabric Softener Sheets – Spread dryer sheets all over the RV when it’s in storage to keep mice away. Then when you take it out put the sheets in a plastic bag and use them for laundry. Irish Spring Soap – Same idea as the dry sheets. Supposedly mice hate the smell. Moth Balls – Some folks use these at the entry points to dissuade mice. Keep in mind though they are toxic and may harm a child or pet. Peppermint Oil – Soak cotton balls with it and leave in the mice infested area. Must be refreshed often. 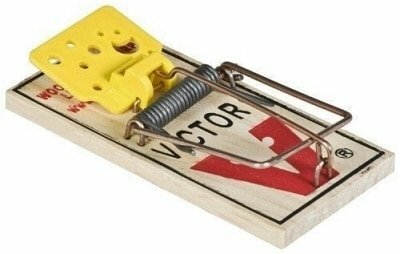 I used to have a mouse problem in my old TV & Radio repair shop so I tried many traps ranging from sticky glue pads to humane non-lethal types. However, nothing worked as well for me as the original wire snap trap. 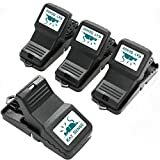 Another effective trap I’ve had recommended to me by a retired pest management professional is called the Mini T-Rex trap. Clean a mouse infested area with a bleach and water mix. Use gloves and paper towels. Don’t vacuum or sweep mouse droppings or nests. Care needs to be taken as rodent droppings can carry nasty diseases. 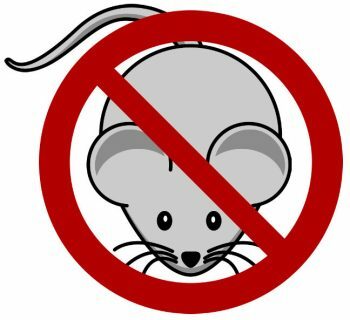 Here is a link to advanced information on cleaning up a rodent infestation from the CDC.